An interesting blog you have here. 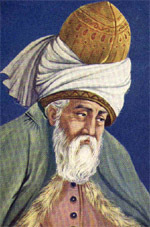 Thank you for quoting the song in praise of Mevlana Rumi. Hi James, Was looking for something on Rumi and the Baha’i Faith and came across this! It’s beautiful. Thank you. Love that poem you quoted….